Mark your calendars, the Mercedes-Benz EQC debuts on September 4, 2018, in Stockholm, Germany! It’s only a matter of time until we finally see the new electric-powered sport utility vehicle bearing the three-pointed star logo in all its glory. 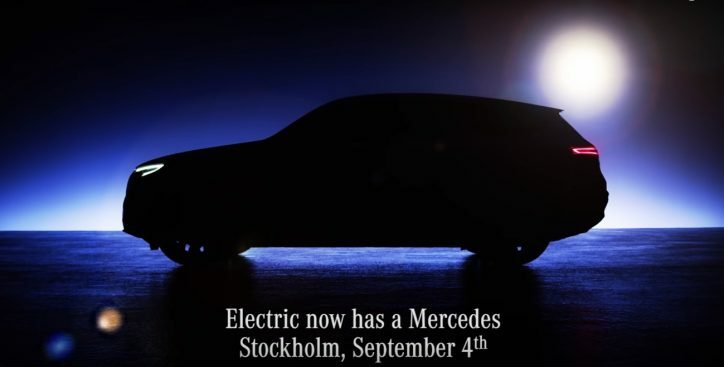 That means we are now on the watch for potential leaks or official images from Mercedes ahead of the electric vehicle’s world premiere. Mercedes also made a video giving us a behind-the-scenes look at the making of the “Electric now has a Mercedes” teaser. The videos give us a glimpse of the overall shape, front grille, badges, lighting and liftgate of the EV. These do not show anything new from the EQC teasers we have been bombarded so far, but the clips provide us a closer and clearer look at some of the auto’s key design elements. Mercedes earlier said that the EQC will be powered by two electric motors. The units are fitted on the front and rear axles of the EV. The combined output of the motors is estimated to be more than 300 kW. The company claimed that the power will be enough to propel the electric SUV from 0-100 km/h in less than five seconds. The automaker also promised a more than 500 km range for the 70 kWh battery pack of the EQC. Despite the EQC’s unveiling tomorrow, the EV is not expected to hit the market until 2019. Stay tuned for more updates as the countdown reaches the zero mark.